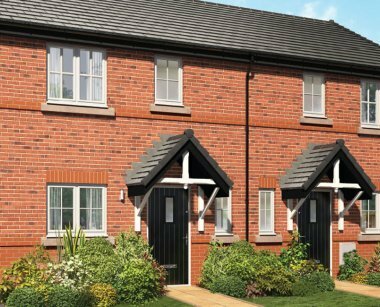 The Inspired Homes at Orchard Fields are located in one of the most desirable spots in Shavington. The beautiful surroundings provide the perfect backdrop to our three-bedroom houses, making them an ideal choice for family life. Built with attention to detail to combine traditional features with modern efficiency, the semi-rural area benefits from being in close proximity to two of Cheshire's most prominent towns - Nantwich and Crewe. Shavington is a semi-rural village which lies three miles south of nearest town, Crewe and four miles west of historic market town, Nantwich. Surrounded by stunning Cheshire countryside and local amenities just a short distance away, the village combines the best of both worlds for the 5,000-strong population. With excellent transport links via Crewe and Nantwich, new homes in Shavington are popular with lovers of an urban-rural mix. Crewe is on the A500, which provides easy access to J16 of the M6 for commuters heading to Manchester, Stoke-on-Trent and Birmingham. The town's railway station is one of the largest in the North West, situated on the West Coast Main Line, and offers direct services to London Euston, Edinburgh, Cardiff and Liverpool amongst others. The nearest airport is Manchester, requiring a 30-mile journey, while Liverpool John Lennon Airport is located 40 miles away. Bus routes include Chester, Northwich, Macclesfield and Stoke-on-Trent. With a thriving live music scene, Crewe is home to a variety of shops, bars and restaurants, along with indoor and outdoor markets. There's also the opportunity to take in a show at the award-winning Crewe Lyceum or watch a Crewe Alexandra match. If bijoux boutiques are more to your liking, the medieval market town of Nantwich offers a comprehensive range of shops, cafés and bars. Music lovers can also enjoy the annual Jazz & Blues Festival, which takes place over the Easter Bank Holiday weekend. Serving the majority of the village is Shavington Primary School, with Berkeley Primary School and Wybunbury Delves (C of E) Primary School nearby. Shavington Academy is the local high school, with Sandbach High School and Sixth Form eight miles away and South Cheshire College less than three miles away. Manchester Metropolitan University Cheshire campus is under three miles away, with Keele University just ten miles away.